Bill Gates Active Again At Microsoft? Bad Idea. (image) This story reporting that Gates will return to Microsoft “one day a week” to focus on “product” has been lighting up the news this week. But while the idea of a founder returning to the mothership resonates widely in our industry (Jobs at Apple, Dorsey at Twitter), in Gates’ case I don’t think it makes much sense. It’s no secret in our industry that Microsoft has struggled when it comes to product. It’s a very distant third in mobile (even though folks praise its offerings), its search engine Bing has struggled to win share against Google despite billions invested, and the same is true for Surface, which is well done but selling about one tablet for every 26 or so iPads (and that’s not counting Android). And then there’s past history – you know, when Gates was far more involved: the Zune (crushed by the iPod), that smart watch (way too early), and oh Lord, remember Clippy and Bob? If anything, what Gates brought to the product party over the past two decades was a sense of what was going to be possible, rather than what is going to work right now. He’s been absolutely right on the trends, but wrong on the execution against those trends. And while his gravitas and brand would certainly help rally the troops in Redmond, counting on him to actually create product sounds like grasping at straws, and ultimately would prove a huge distraction. 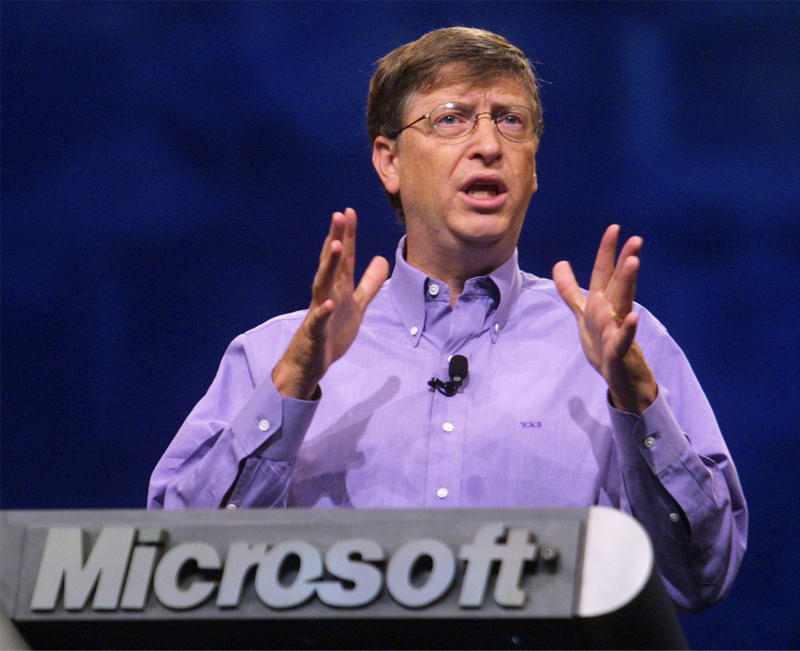 4 Comments on Bill Gates Active Again At Microsoft? Bad Idea. Author John BattellePosted on February 4, 2014 Categories Internet Big Five, Joints After Midnight & Rants, Random, But InterestingTags Bill Gates, gates foundation, Google, Microsoft, philanthropy4 Comments on Bill Gates Active Again At Microsoft? Bad Idea. 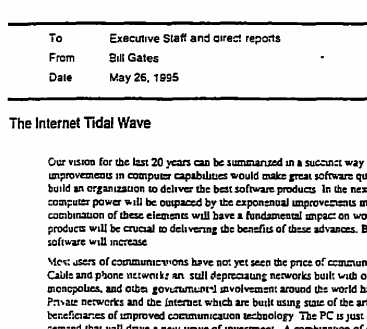 Larry Page’s “Tidal Wave Moment”? The memo runs more than 5300 words and includes highly detailed product plans across all of Microsoft. In retrospect, it probably wasn’t a genius move to be so transparent – the memo became public during the US Dept. of Justice action against Microsoft in the late 1990s. 18 Comments on Larry Page’s “Tidal Wave Moment”? Author John BattellePosted on February 7, 2012 Categories Book Related, Future of Search, Internet Big Five, Media/Tech Business Models, Random, But Interesting, The Web As PlatformTags Bill Gates, Google, Google+, Internet Big Five, Internet Tidal Wave, Larry Page18 Comments on Larry Page’s “Tidal Wave Moment”?